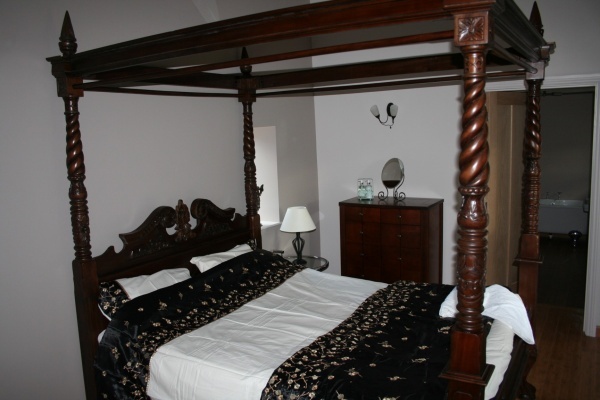 Two romantic cottages with four poster beds, situated in the idyllic Vale of Whittingham, at the foot of the Cheviot Hills, on the fringe of Northumberland National Park, and close to Alnwick and the stunning beaches and iconic castles of the Northumbrian Coast. Grooms Cottage (sleeps 2) is the quintessential romantic hideaway for couples! Grooms Cottage is a newly completed conversion nestled in a private courtyard in a simply magical setting. With an open aspect across undulating farmland, Grooms Cottage is the perfect choice for couples who desire peace and tranquillity. 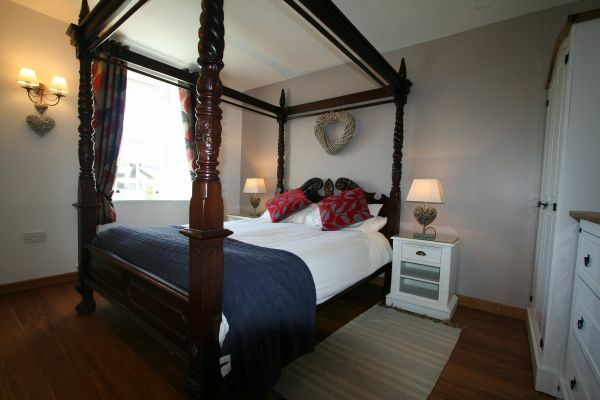 Awarded the prestigious 4* GOLD by Visit Britain, the accommodation is immaculately presented throughout. Snuggle in front of the cosy wood-burning stove and watch the flames dance. The bedroom boasts a gorgeous four-poster bed, which leads to luxurious en-suite facilities with a glamorous roll-top bath as well as the convenience of a refreshing shower too. The Coach House (sleeps 2) has been recently converted to create a cottage with huge character in a private courtyard with an open aspect across undulating farmland. 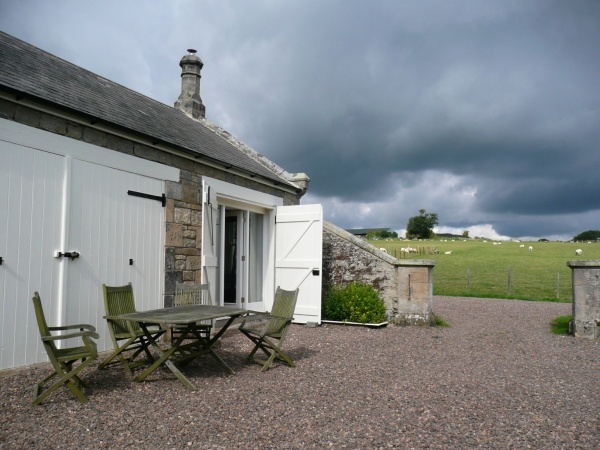 Situated in the Vale of Whittingham at the foot of the Cheviot Hills and perched on the fringe of the Northumberland National Park makes the location of Granary Cottage simply idyllic. 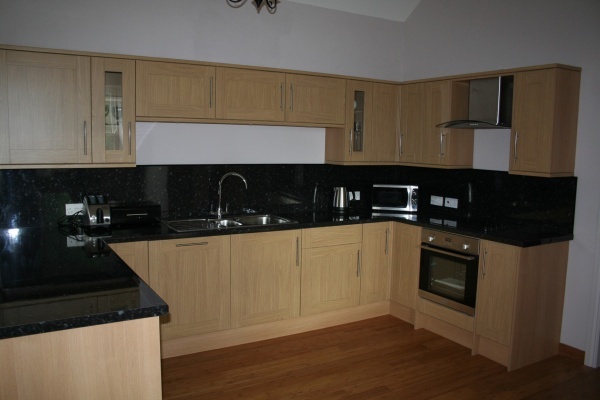 This property has been graded 4*, and the accommodation is immaculately presented throughout. With the convenience of being on one level, the master bedroom boasts a gorgeous four-poster bed with luxurious bathroom facilities. With beamed ceilings to the spacious living room and kitchen, and a wood-burning stove; this divine property is suitable for couples seeking something rather special. 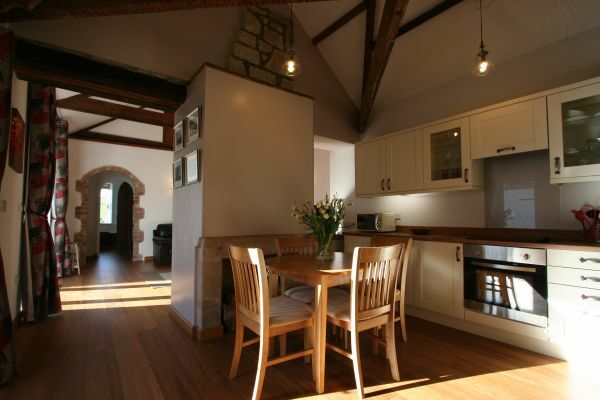 Aln Valley Cottages are positioned a couple of miles from the picturesque village of Whittingham, which has its own Pele tower and a church which dates back to Saxon times. Ramblers and cyclists will absorb the wild and lonely vistas of this stunning location. Enjoy a riverside picnic in the breathtaking Ingram Valley, a mere 5 miles from Grooms Cottage. 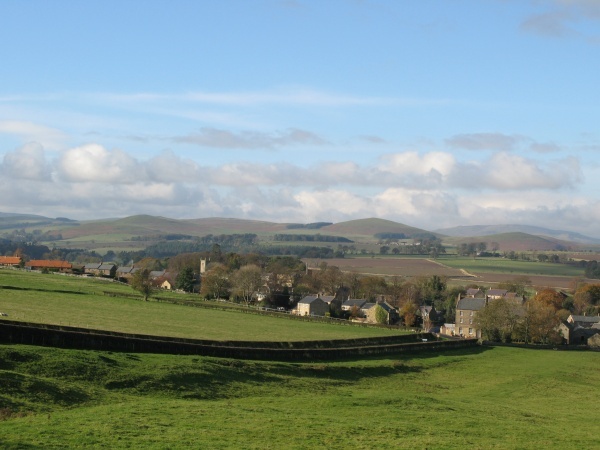 Or take a walk in Alwinton, the gateway to the most remote part of the Coquet valley, only 11 miles away. A little further north is the Harthope valley with its dramatic crags and the private College valley too. The owners are qualified mountain leaders and climbing instructors, so why not learn to navigate the Cheviot Hills or try rock climbing before returning at the end of an exhilarating day to the luxurious comfort of your cottage. The picture postcard village of Rothbury sits at the foot of the Simonside Hills only 10 miles away and offers a wide array of facilities including several shops, pubs and quaint tea rooms. Fishing for salmon and trout on the River Coquet is a popular pastime (permits available locally) and golf can be arranged on its riverside course The National Trust property of Cragside was the first home to be lit by hydro-electricity and the elegant house and its grounds are a popular visitor attraction close by. The bustling market town of Alnwick has attractive cobbled streets and is protected by its dramatic castle, the ancestral home to the Duke of Northumberland (notably famous as the film location for Harry Potter!) and offers many facilities only 8 miles east. Enjoy a visit to the superb Alnwick Garden, with its Grand Cascade Waterfall and dine in the restaurant within the largest tree house in Europe. The Heritage coastline this area is renowned for, and designated as An Area of Outstanding Natural Beauty is only a half hour drive east ensuring Aln Valley Cottages provide an excellent central base for exploring both the unspoilt countryside along with the golden expanses of glorious seashore too. 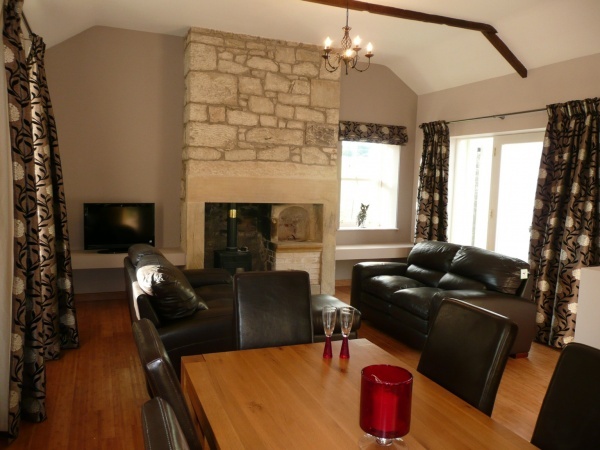 The cottages can be booked independently or together to accommodate up to 4 guests. The cottages have free wifi, central heating, off street parking and enjoy a sheltered courtyard overlooking the fields with BBQ and outdoor dining. Was really looking forward to staying in this cottage after reading the reviews. 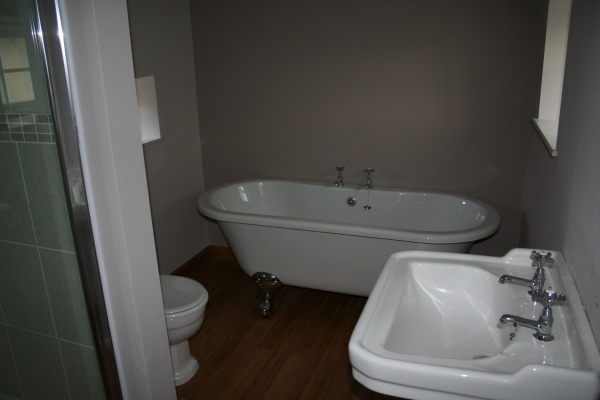 However although the setting is lovely and well placed for days out, in reality we found the overall cleanliness of the property disappointing. On arrival the fridge had not been cleaned out and there were various bottles and jars of sauces, preserves etc., left in there and all had been used. The ice box door had at some point been left open and had iced up around making it impossible to close the door. In the kitchen cupboards there where several items whose use by dates where 2015, 2016 the shelves were also dirty. Under the sink again there were various empty aerosols, fly spray etc., we were left two dishwasher tablets for the week and 1ml of watered down washing up liquid. the cooker / oven is in need of a professional clean, in my opinion. The surfaces in the bedroom were covered in dust, and we did not get a night where we had any quality sleep due to the fact every small movement resulted in creaking. Proceed with caution if you are a light sleeper or need to get up in the night. The soap dish in the shower had previously been broken and sellotape wrapped around as a repair, in itself no big deal but given the other issues not what you would expect. As we were leaving went to straighten the cushions on the settees to find the gap between them full of food debris etc., We left the cottage in a condition that we would have liked to have found it. I don't give a 5* review very often but The Grooms Cottage is a great place to stay. Okay I'm sure I could think of a niggle if I really tried but we've just spent a lovely week here. The location is way out in the country and the setting is just wonderful with open farmland just the width of the drive away. Inside there is a large, very well equipped, open-plan kitchen/diner/lounge and a reasonably sized bedroom with a (very creaky) four-poster. 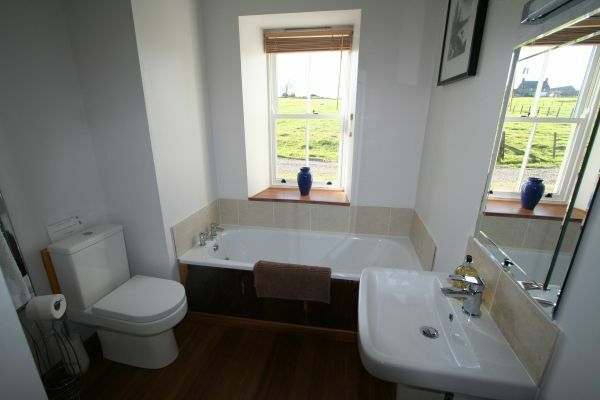 A nicely appointed bathroom rounds things off. All presented spotlessly clean and tidy. Definitely somewhere we'd like to stay at again. Grooms cottage is one of the BEST ! We have just returned from a weeks stay at this GORGEOUS cottage. Upon arrival we were greeted with a bottle of red wine which we thought was a lovely touch.This cottage has everything that you could wish for in a self catering cottage, as other reviews have said there is no where close enough to walk to for anything to eat or drink but to be honest at the end of a full day sightseeing there is nothing finer than returning to this beautiful cottage and lighting the log burner and enjoying a candle lit meal in there, it is just amazing. It is set in the middle of beautiful countryside with sheep in the field next to the cottage, it was so tranquil we did not want to leave. It is not far to drive to the coast and lots of other attractions. There is great parking at the cottage which is always a bonus. The bed was lovely and comfy and the bedroom had plenty of storage too. The cottage was lovely and clean and the owners were smashing to chat to. The cottage is huge inside and all on one level apart from one small step down into the bedroom and one down into the bathroom, the bathroom is beautiful and the bath tub was lovely as was the shower and the bathroom towels were so thick and fluffy (The White Company) The only tiny thing for me was that the bedroom only had a small mirror on the top of the draws which made it very difficult when doing my hair but I did suggest to Clive the owner on the day that we left that a full length mirror in the bedroom would be great and that was the only thing that was missing in the cottage and he actually said he would put one in there at the side of the wardrobe next to the sockets which would be great. So apart from that tiny niggle Grooms Cottage is AMAZING and we would highly recommend it to anyone who wants the most tranquil holiday ever in a beautiful cozy romantic cottage ! Just stayed at this wonderful cottage for our wedding anniversary. Perfect. Close enough to local attractions if you want to explore the Coast/Castles and the Cheviot's. 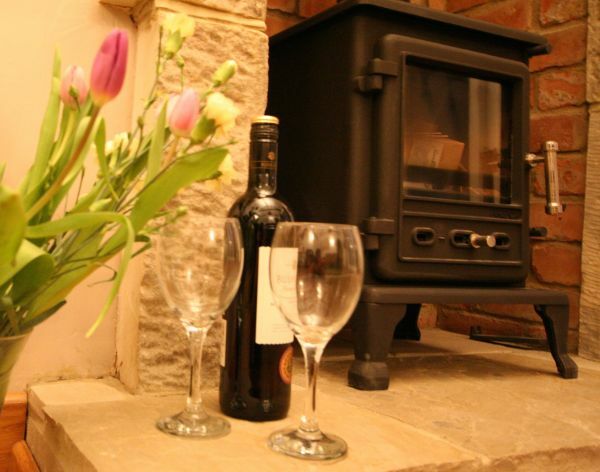 Cottage equipped to a very high standard and the log burning stove perfect. If you want a place to get away from it all and recharge your batteries this is it. Clive was very knowledgeable about local walking and pointed out a lovely walk a short car journey away right in the heart of the hills. We cooked each evening as there is no local pub without driving but this suited us. Wine and chocolates on arrival were a lovely surprise and put this accommodation above others. We will definitely go back and hopefully soon. Stayed for a birthday weekend, the cottage is really beautiful with the wood burner as a focal feature. 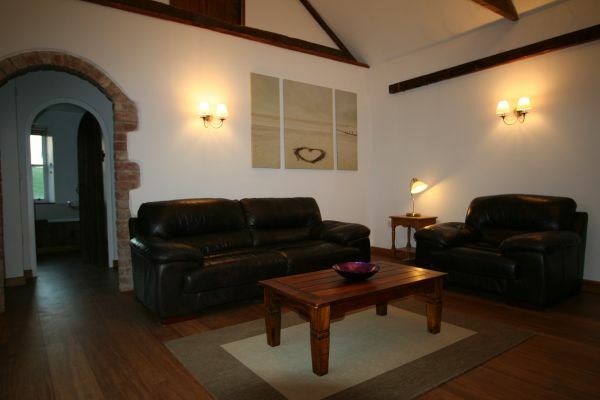 The cottage has all necessary amenities for a stay including kitchen utensils, wifi, TV/DVD. 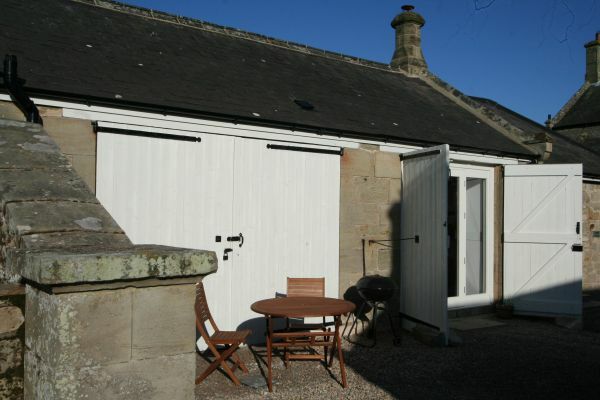 Great location for walking and to travel to Alnwick and the coast. The only flaw though very slight is that the shower is not the best goes between hot and cold and not very powerful, other than this though would highly recommend.